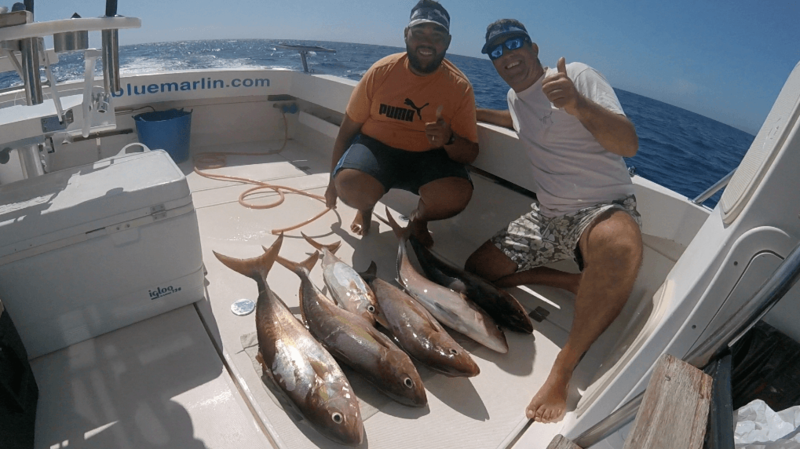 Read Fishing Reports in Gran Canaria | Fish On! We have been fishing in shallow waters and also in the reef catching some snappers, amberjacks, morey eels, and many other smaller fish! 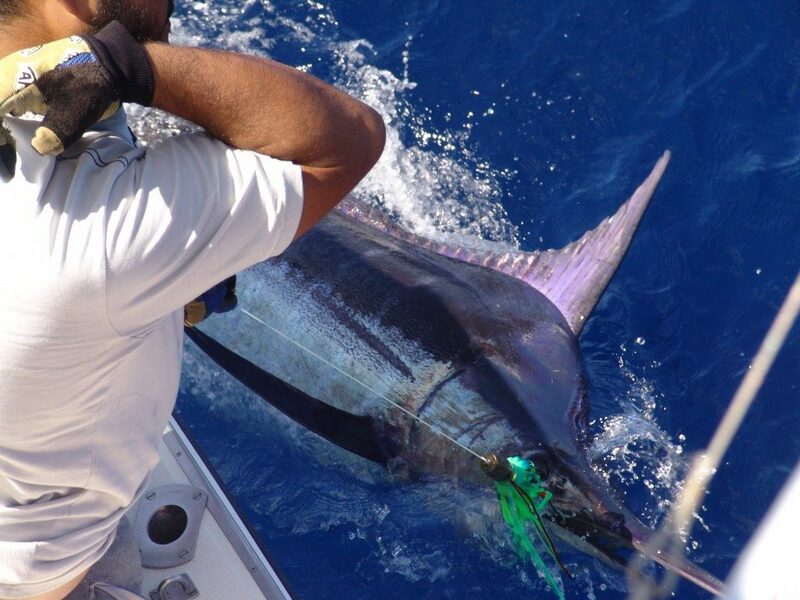 Although we have been a bit disconnected from the website, we update often our Facebook page Fishoncanarias. 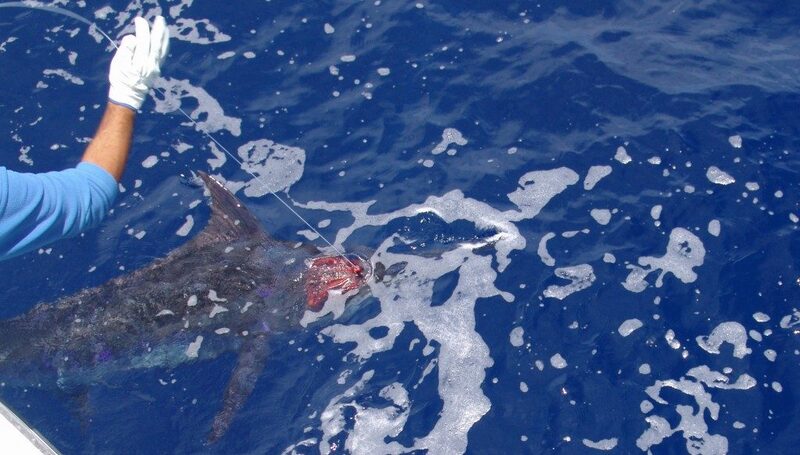 Fishing right now is mainly bottom fishing but awaiting news about the first tunas to show up. Here some pics of last fishing trips. 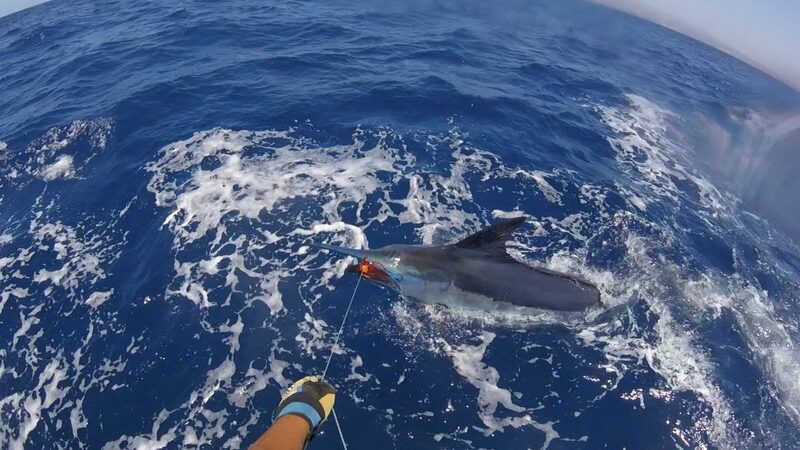 Still catching blue marlin and tuna, season is being good this year, now getting ready for bottom fishing time till February! What a month we just had! 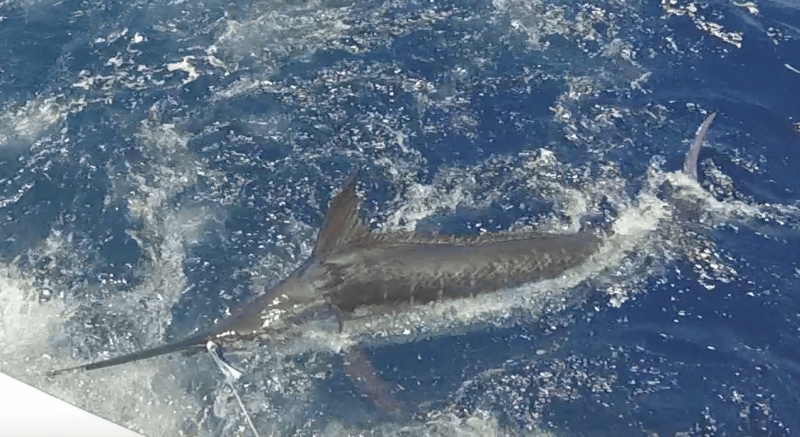 Went out trolling for 20 days and we released a total of 14 blue marlin and 1 spearfish. 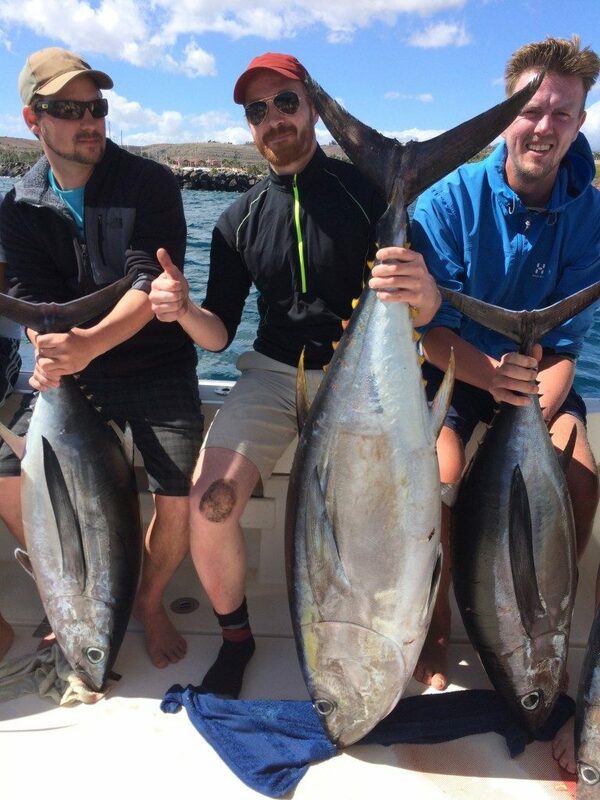 Fishing is great in Gran Canaria, I hope it continues in July! 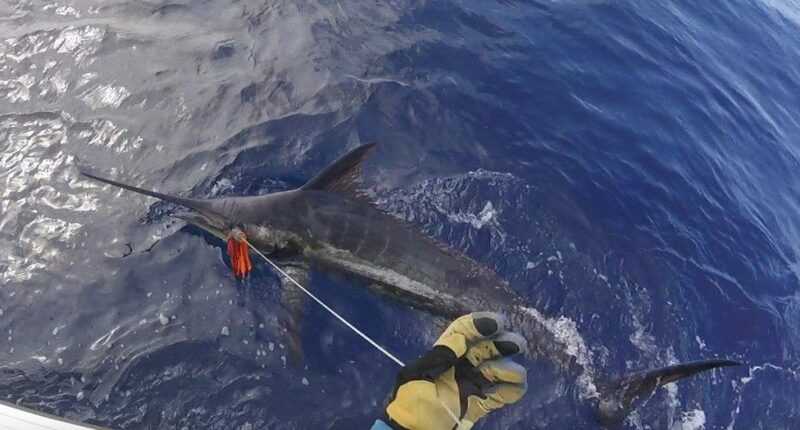 Today we released 2 beautiful blue marlin, our first of the season, weights around 300 and 400 pounds. This year is looking better than last one! 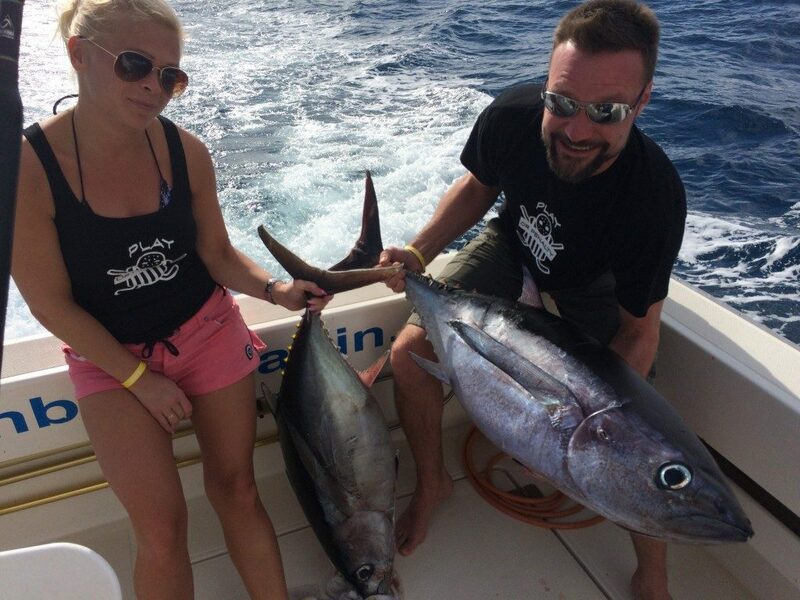 February and March have been really successful regarding tuna, we have caught around 50 tunas. Customers very happy a lot of them wishing to repeat the experience next time. 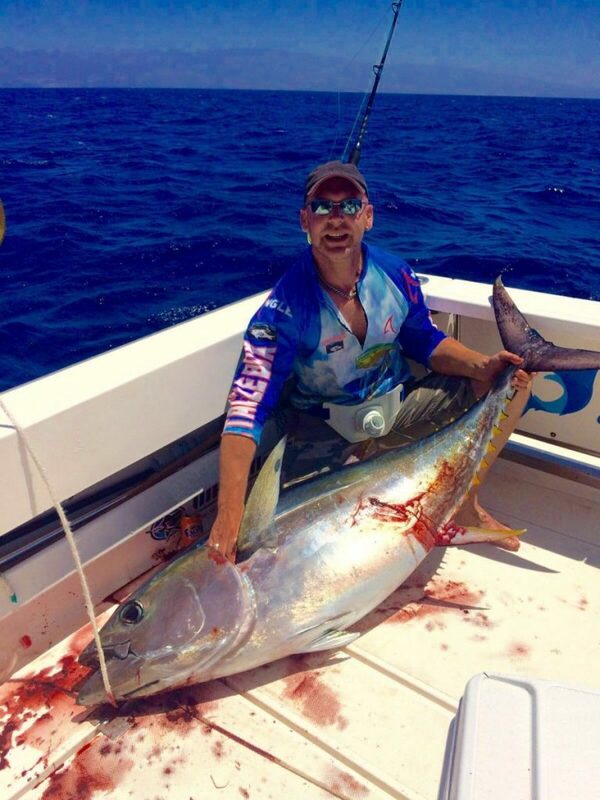 Today it´s a special day for us, we caught the first Big Eye tuna on Fish On with a weight of 98 lbs (45 kgs). 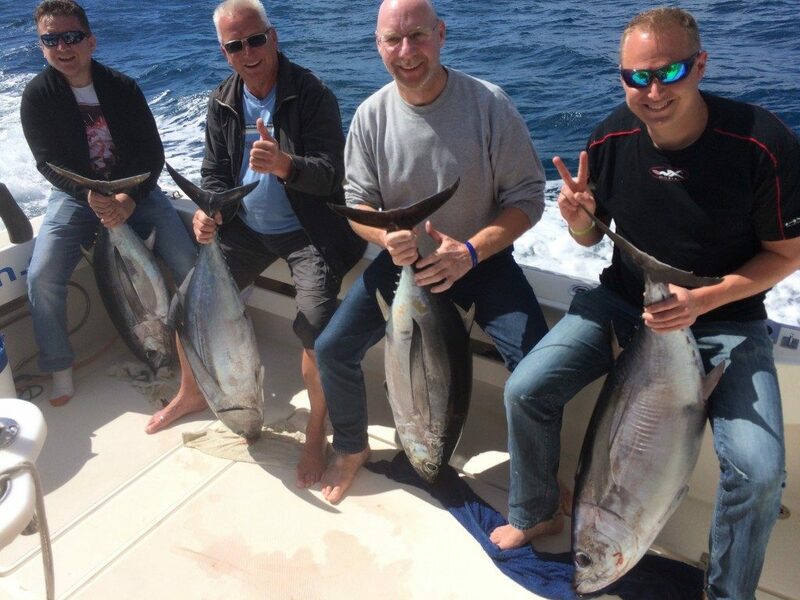 Not only this tuna but other 6 albacores made a great day fishing. Fish On! 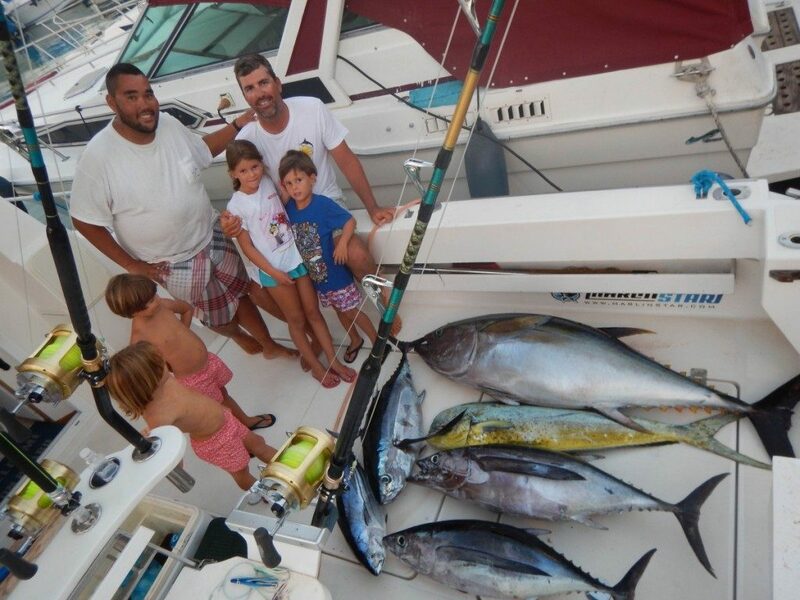 has more than 25 years of experience in fishing these waters, we know the grounds very well, and if you trust us, be sure we’ll always take you the right spot.